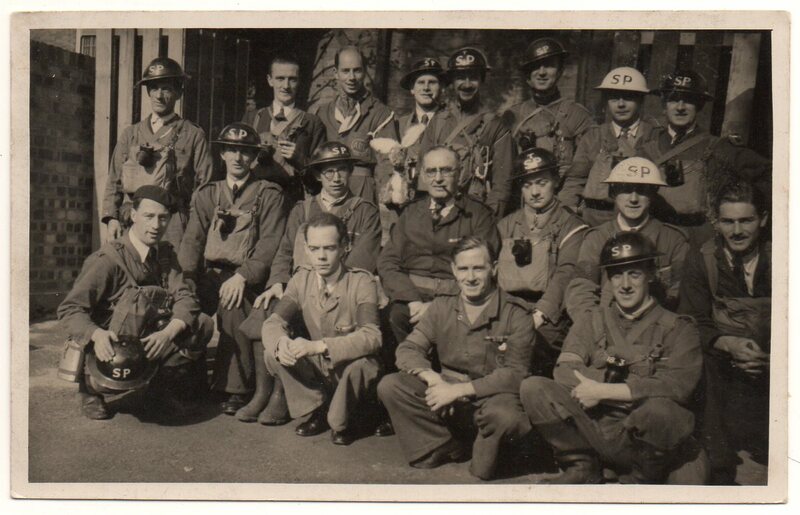 ​A selection of original photographs showing interesting insignia. 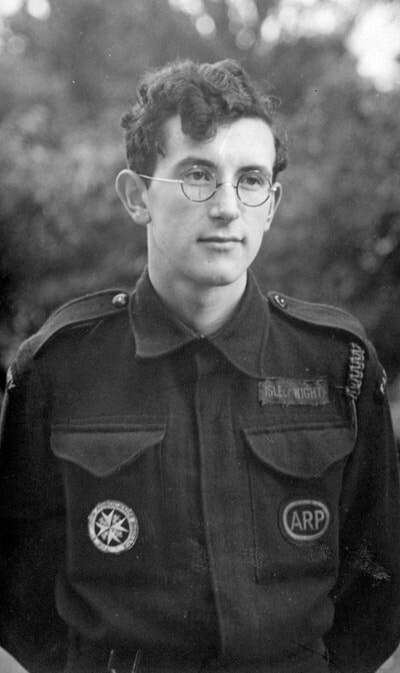 It's important to note that although some regulations existed regarding the location of various badges, there is a great deal of scope where an individual placed them. 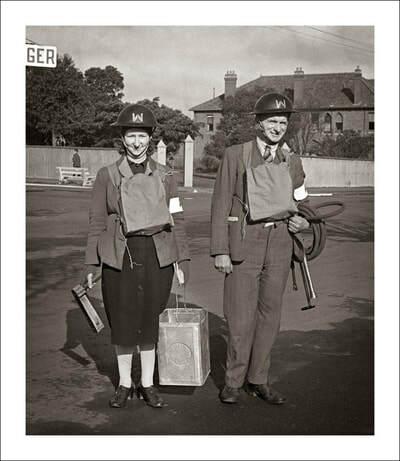 If you have an interesting original photograph please send it to me via the contact page. 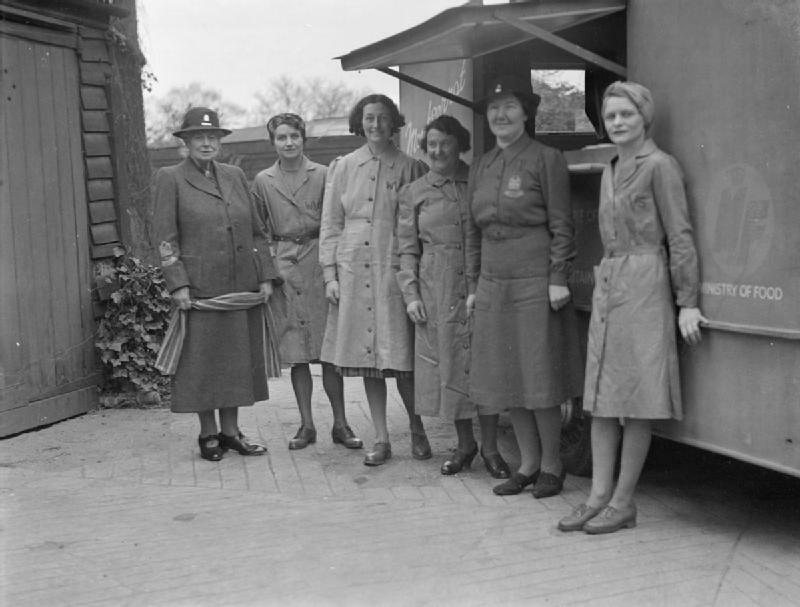 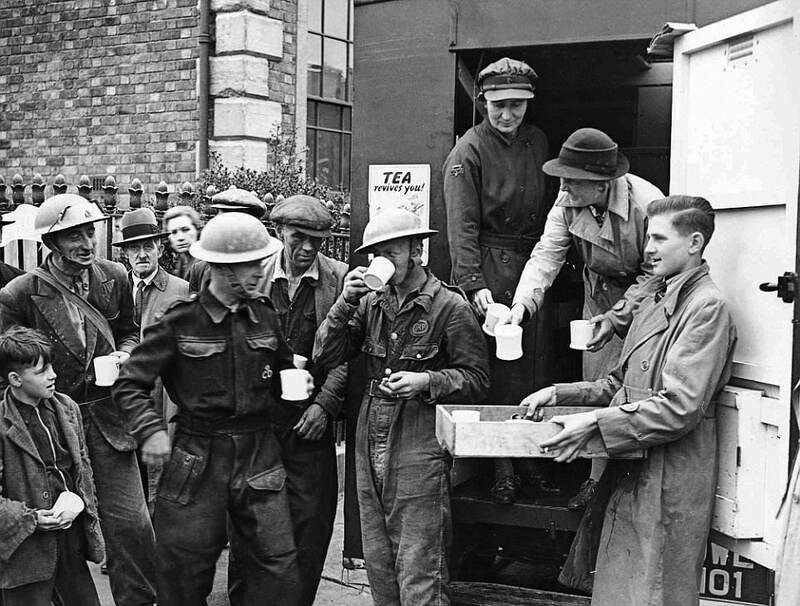 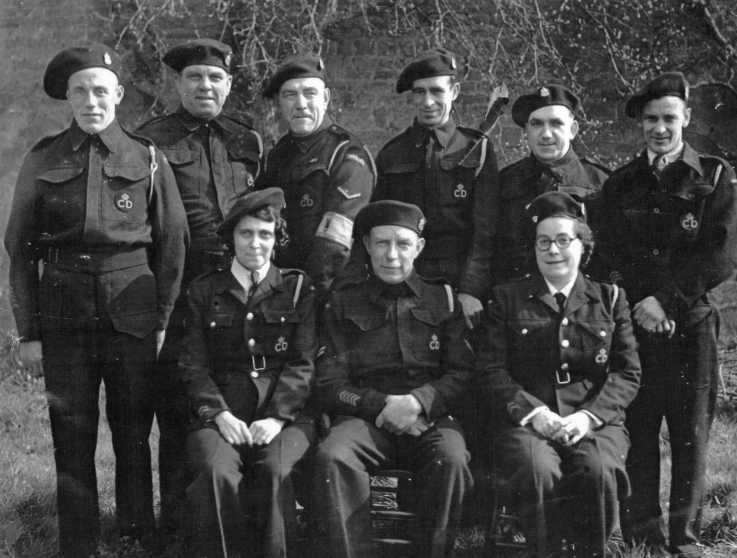 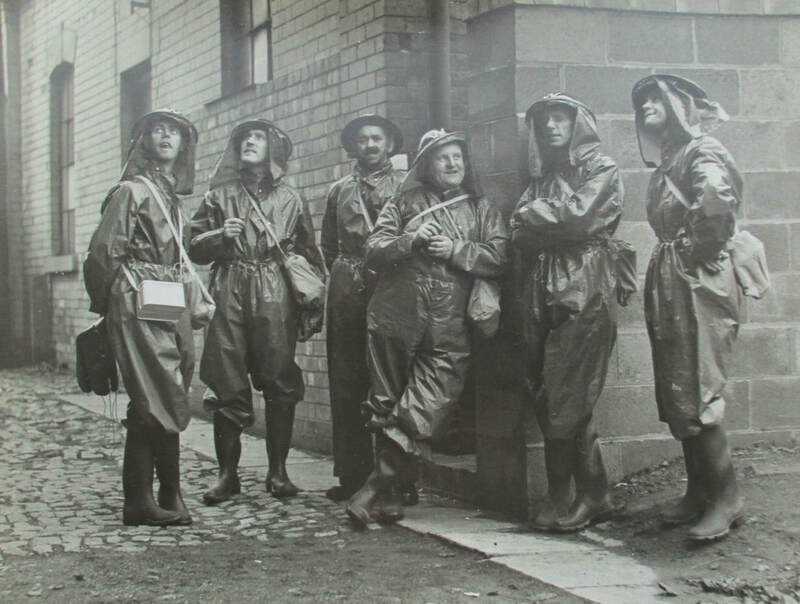 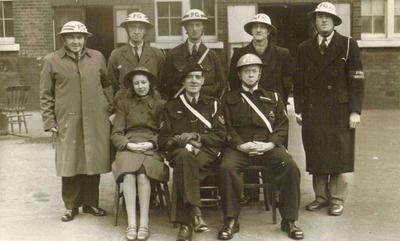 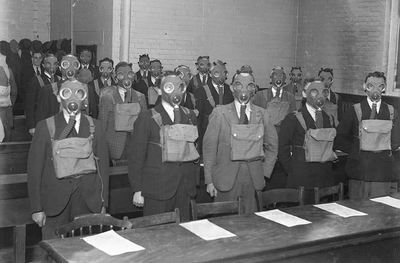 Early war group of Wardens in civilian clothing and bluette overalls. 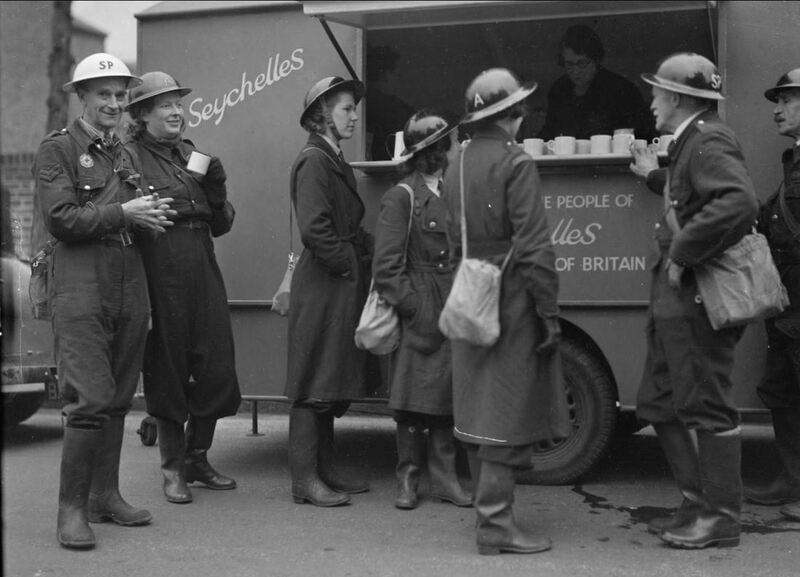 Ladies have women drivers' coats. 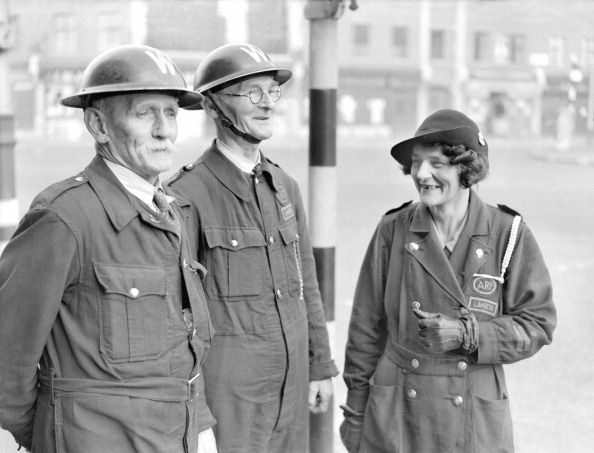 Wardens in BD and serge jackets. 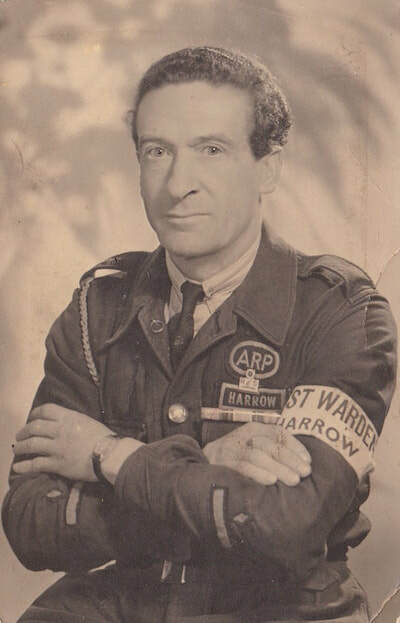 Bomb Reconnaissance armband worn. 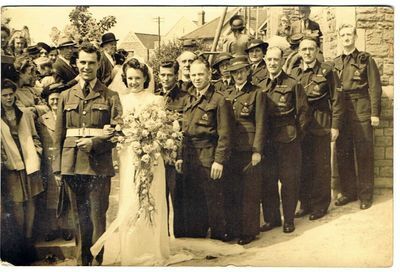 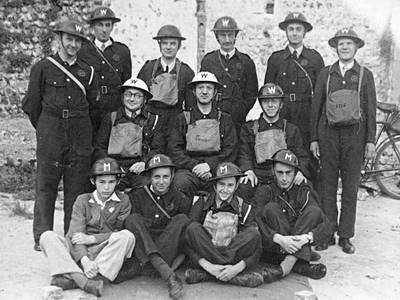 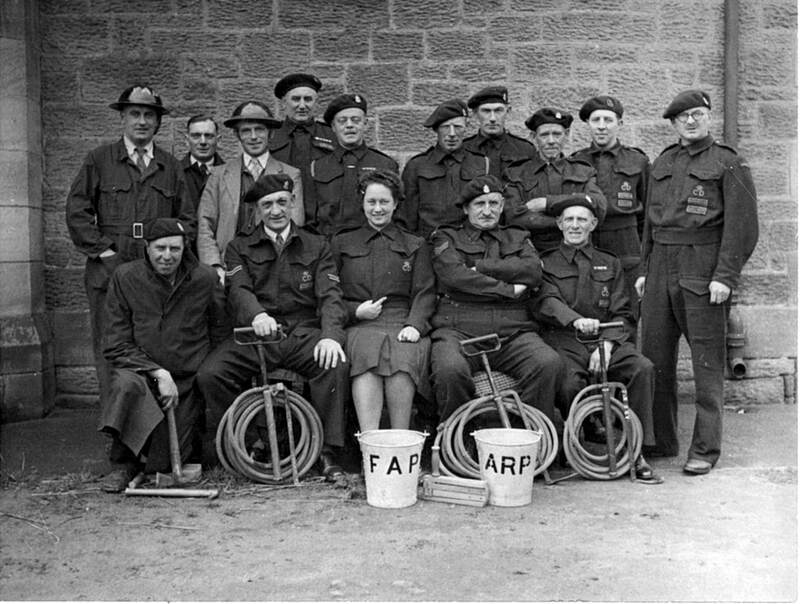 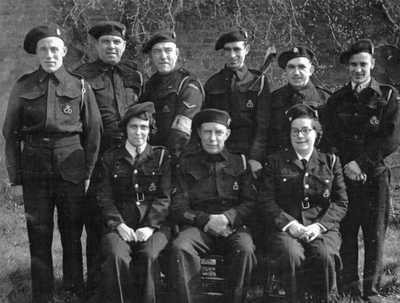 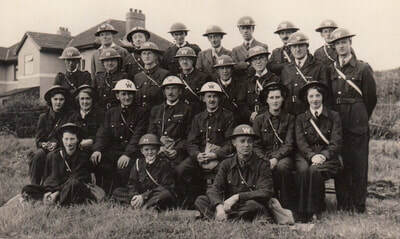 Early war group photo with ARP Wardens in bluette overalls with Messengers. 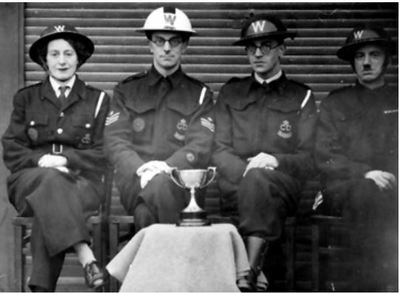 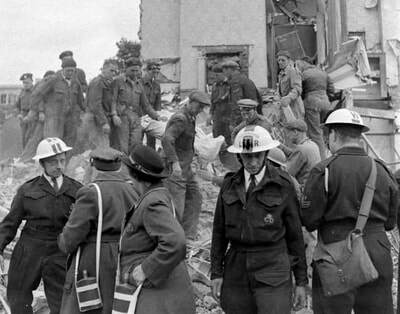 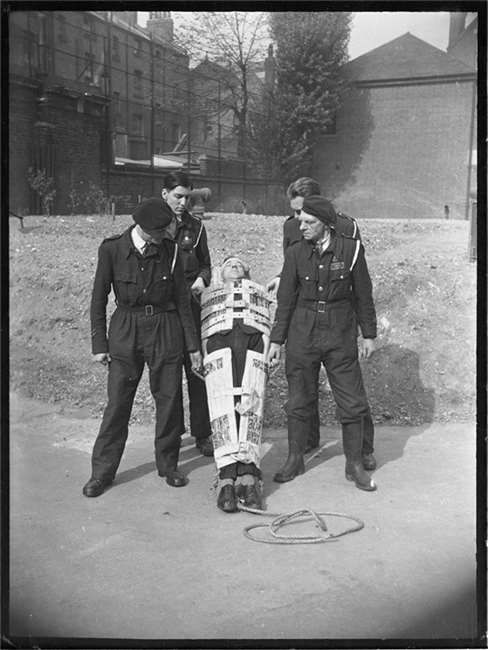 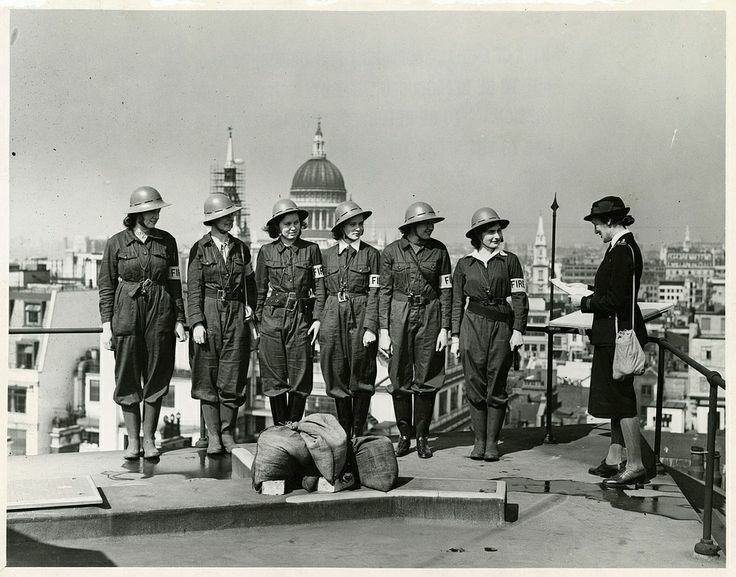 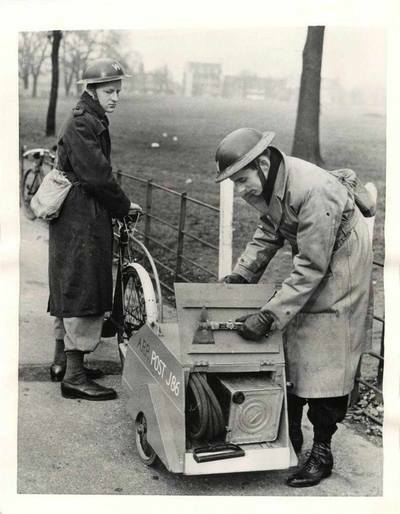 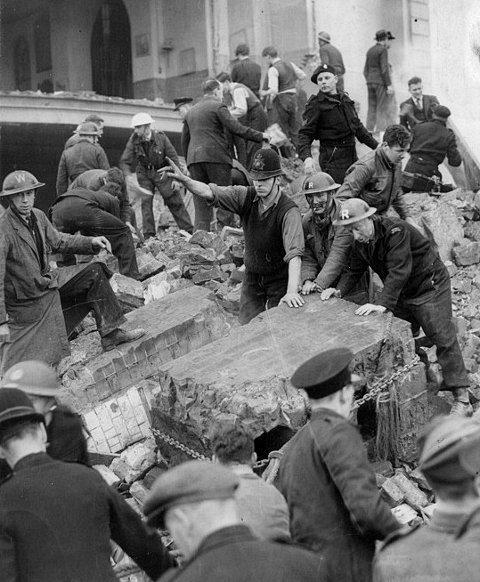 London's only female District Warden at the time with two staff. 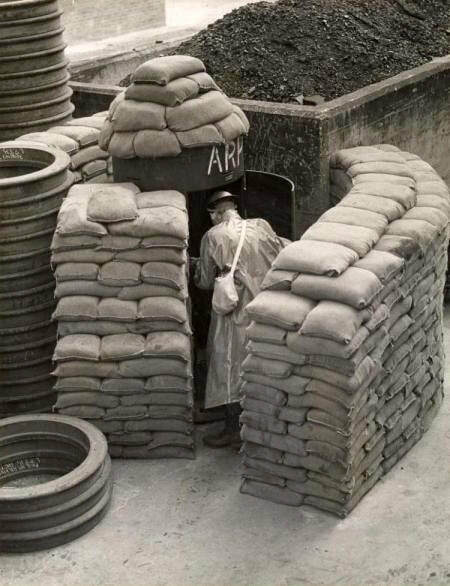 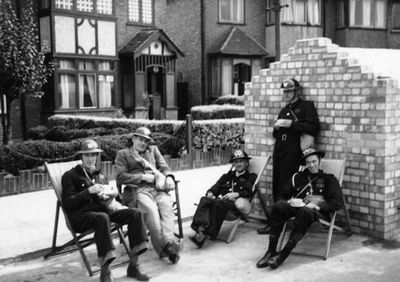 A group of wardens relax at there ARP Post. Early war Warden in bluette overalls. 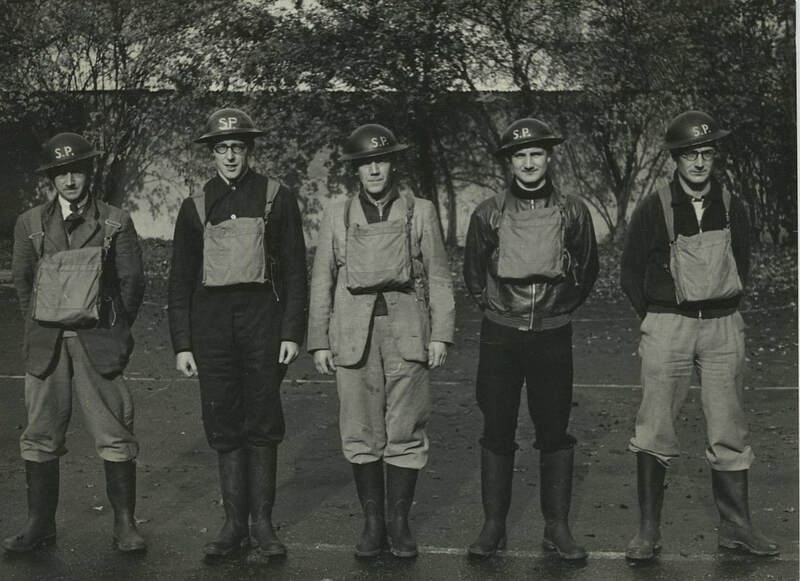 Early war group photo of Wardens in bluette overalls and a very young Messenger. Fire Guard training atop the Bank of England. Group photo of Post Warden with other wardens. Photo Copyright - I believe that these photographs are in the public domain. 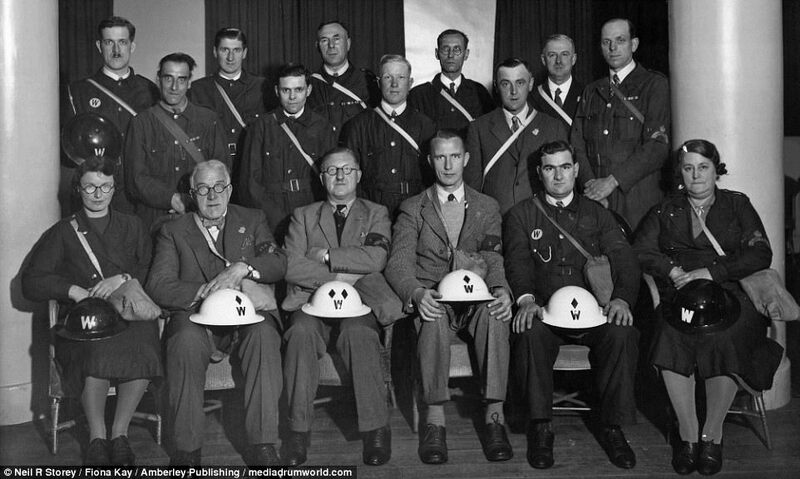 The majority taken by UK government sources. 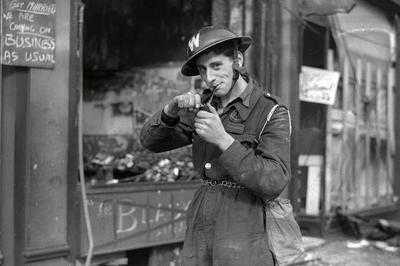 If you believe a photo is shown against copyright please contact me to discuss/remove.